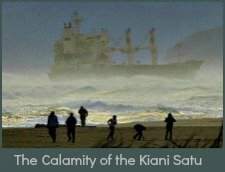 Safe for families, superb for surfing! 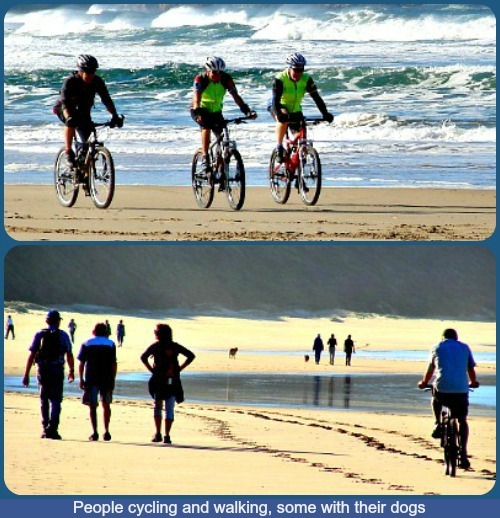 Almost midway between Knysna and Sedgefield, Buffelsbaai as it is best known, is considered one of the safest and best beaches on the Garden Route for all the normal popular beach activities that people enjoy. 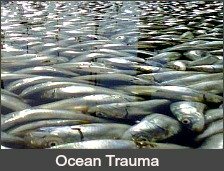 The huge half-heart sweep of the bay offers reasonable protection for swimmers and surfers from the strong currents and rip tides that most of the Garden Route beaches are prone to. 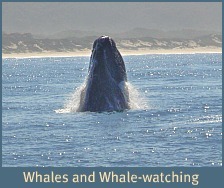 Buffelsbaai, also known as Buffalo Bay is primarily a holiday destination. 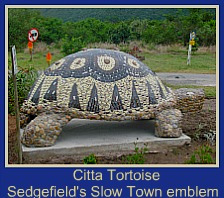 There are a few permanent residents but the quiet seaside resort swells to maximum capacity when absentee landlords arrive at their holiday homes and tourists come to stay at self-catering chalets and B&B's for the school holidays. Christmas time is the busiest! There is a popular caravan park on the promontory next to the ocean and another on the vegetated dune high above the bay that has magnificent panoramic views over the area, Goukamma River and out to sea. Both campsites are choc-a-bloc over the December holidays. 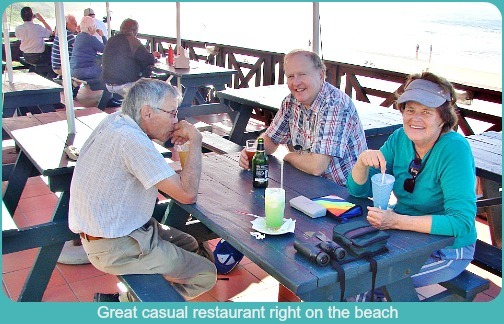 A single beach restaurant and shop provides a decent menu and all the basic provisions for the locals and visitors. 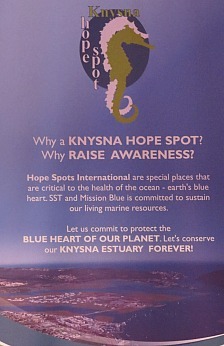 Knysna town is a short and scenic 15 km drive away if more serious retail therapy becomes necessary! The demeanor of Buffelsbaai is laid-back, uncomplicated and restful. This is exactly what draws world weary, work frazzled holidaymakers to the place. People can wander around everywhere bare-foot and in bathing-costumes from sunrise to sunset - living and eating outdoors - enjoying the sea and sunshine and falling asleep with only campfire talk and the sound of the ocean in their ears. Through-out the year locals come for the day and out-of-season visitors knowing its' secrets, find many ways to enjoy this quiet retreat. 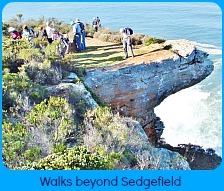 It's a popular spot for fishermen who while away happy hours fishing from the many rocky outcrops. 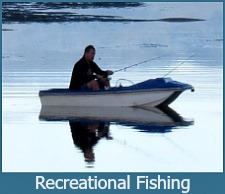 There is a boat launching site near the caravan park for power boats and canoes that would like to venture out to sea. 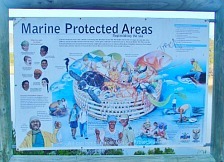 Make sure you are in possession of the necessary permits and that you are aware of the restrictions that apply to the adjacent Marine Protected Area of Goukamma. 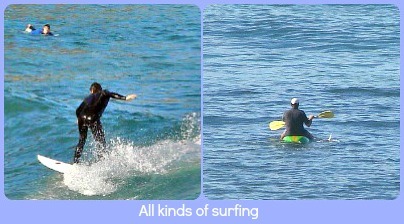 Body boarders, kite-surfers and regular surfers can surf the waves to their hearts' content. A well-attended annual surfing competition is held at Buffalo Bay. 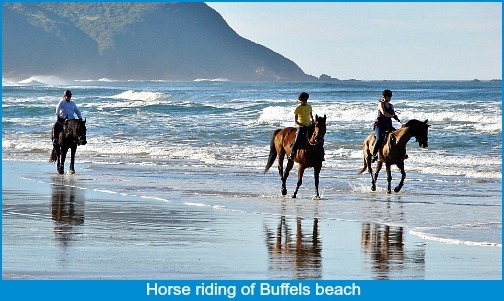 For those who love horse-riding it is possible to organise a ride along the shoreline at low tide. 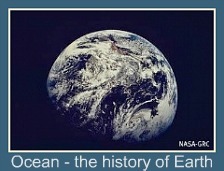 It is also very pleasant to cycle along the firm sand of the beach at that time. 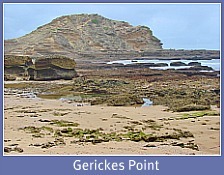 Many walkers enjoy strolling along the beach at low tide from Buffelsbaai to Brenton-on-Sea and back, a round-trip of +/- 8kms. Dogs frequently accompany their owners on such occasions. There is an interesting hiking trail of about 4 kilometers through the dune behind the beach that can be incorporated into a beach walk. It gives you wonderful views of the ocean and the coastal resort itself, taking you through some dune forest and fynbos that is absolutely stunning when in flower. 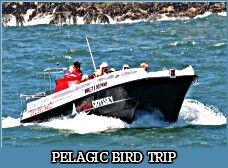 The bay also offers great whale (May to November), dolphin and bird watching opportunities. For outdoor lovers and loafers, action addicts and photography fanatics - there really is something for everyone. Off the beaten track, that is 9 kms off the N2, you may never discover Buffalo Bay unless you explore the byways when you're travelling or you already know about it. 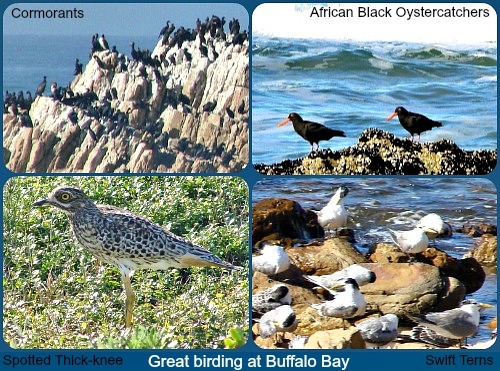 Buffalo Bay may seem out of the way, but it might surprise you and tempt you to stay! 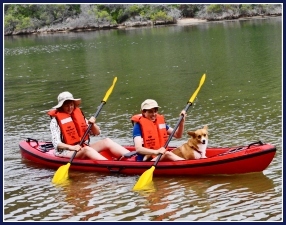 The adjacent Goukamma Nature Reserve is close-by and offers its own outdoor activities and accommodation that can be investigated whilst at Buffalo Bay or to extend your stay in the area. 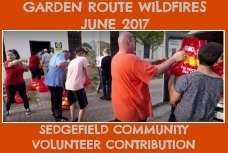 More information and contact details can be found on that page so is not repeated here. 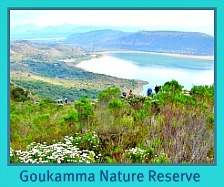 Goukamma Nature Reserve and Marine Protected Area is situated on the Garden Route between Sedgefield and Knysna just east of Buffelsbaai. 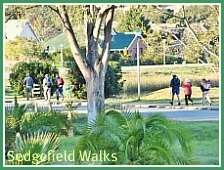 CLICK on the picture link below to find out how to experience enjoyable walks amongst the Fynbos on the CAPE CLAWLESS OTTER TRAIL and the modified DUNE MOLERAT TRAIL.